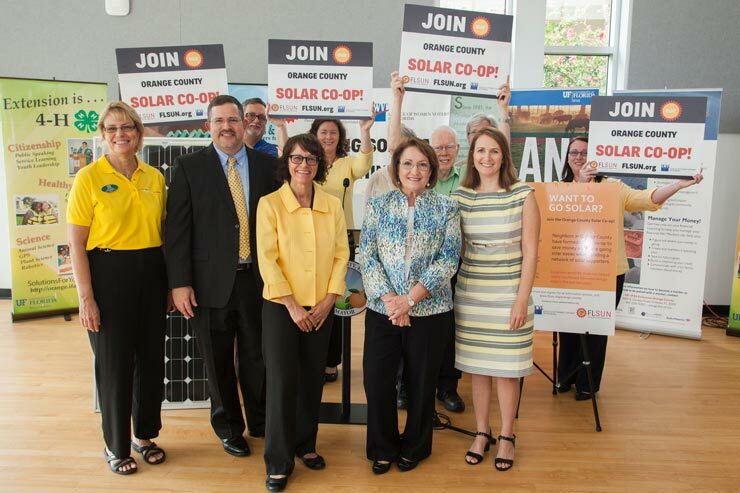 Showing a great interest so far, more than 300 homeowners in Orange County have formed a solar co-op and co-op members will use their group buying power to get a discounted price for solar panels. 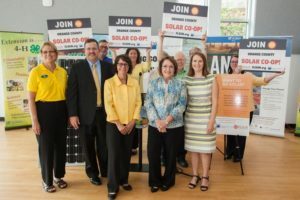 The effort is supported by Orange County Mayor Teresa Jacobs, Orange County Government, the League of Women Voters of Florida and Florida Solar United Neighborhoods (FL SUN). The deadline to sign-up for the co-op is Nov. 30. Orange County homeowners are being invited to the final of a series of solar co-op informational sessions, which will be held on Nov. 17th. The final informational session will be held in Winter Park at the First Green Bank Building from 6:30PM to 8:30PM. Thursday, Nov. 17 from 6:30 – 8:30 p.m.